When traveling on long or short trips, whether for business or pleasure, you want to look presentable instead of wearing clothes that look like you’re auditioning for a sun-sweet prune commercial. Or smell so strong just because your cologne or perfume spilled all over everything. Here are some tips that can help you avoid some of those problems. Packing (as with many tasks) needs to accomplished using proper techniques. You want to begin (after opening the bag) working on a smooth surface. Start by placing shoes, hairdryers, toiletries (that have been prepared for packing as described below), and other heavy objects in the bottom of the case opposite the handle (what will be the bottom of the bag or case when carried or rolled). 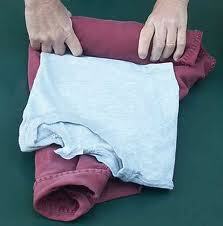 Wrinkle-free items such as jeans, T-shirts, lingerie and sweaters can be rolled to cushion your heavier articles. Pack carefully to avoid wrinkles. That means; whenever possible “rolling” clothing items rather than folding them, as folds only end up as true creases. If you can’t avoid folding your clothing then hopefully your hotel will have an iron, or you have access to one of those travel steamers. They are worth their price if you get a good one! Pack each item one at a time in a clockwise direction. This will help ensure that you maximize your available storage space by minimizing air pockets. You would be amazed at how much air space people leave in their luggage. It also ensures you pack evenly which helps use space wisely. 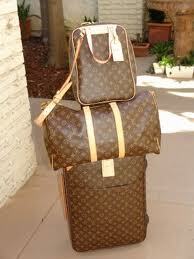 Packing your heaviest items on the bottom of the suitcase will go a long way in helping to avoid wrinkling your clothing. It will also help keep your roll-aboard properly balanced when you wish to stand it up on its end. Bring along at least one plastic trash/grocery bag to keep your dirty items separate from your other clothes. Pack your liquid items in (less than full) plastic bottles, they might freeze and expand if you’re traveling by plane or putting them in a trunk and traveling through cold weather. Roll pajamas, nightgowns, sweaters, and other casual wear to fill small spaces, when possible, BUT don’t cram your suitcase full. If you have to force your luggage to close, you should remove a few items to prevent broken hinges or zippers along the way. Take along some large zip-lock plastic bags. These can be used to store wet clothes, dirty sandals or anything that needs to be separated from everything else in your pack. They are very cheap, take up no room and become invaluable on any trip. 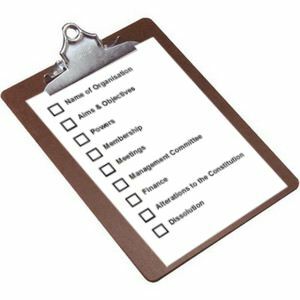 After deciding on a specific vacation destination, the first thing travelers should do is make up a list of what they will need. This accomplishes two things: it speeds up packing and lets the traveler know what might be missing in the event of lost luggage. Always include a collapsible tote bag for purchases made during your trip or to hold laundry, wet swimsuits and towels. Use a mesh type laundry bag (or an old stocking bag) to put clean undergarments in – it will be much easier to find than rummaging through your bag looking for clean undergarments. Pack your shoes in shoe bags or (if not available) use socks to keep their dirty soles from touching your clean clothes. Packing formal wear can be both challenging and a battle in the attempting to eliminate the wrinkle war. While there are no “foolproof” remedies to avoiding wrinkles to formal wear; However, here are some valuable tips in helping to reduce the amount of potential wrinkles and damage to your formal wear items when packing them for travel. To help protect your formal wear wrap your formal garments in light plastic bags (like the ones you get your clothing back from the cleaners in). While packing your formal garments are best when placed in a hard case type luggage, you can also place as #1 above, and then double into a vinyl garment bag will offer more protection for your garments. Upon arrival always unpack and hang formal wear first! While there is no real way to prevent wrinkling your formal wear when packing, most cruise lines offer on-board “freshening” and “pressing” services for a nominal fee. Spray-on Wrinkle Releasers while helpful, won’t do as well as pressing them. Many people place garments on inside of bathroom doors, and run a hot steamy shower to help loosen wrinkles. When purchasing formal wear items, remember polyester blends are less susceptible to wrinkles as compared to its linen and cotton counterparts. 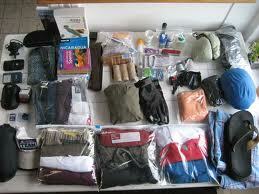 Hopefully these recommendations that are offered here will prove useful and helpful in easing your packing pains. Now you’ll be able to pack like the people who travel for a living. Sensible Packing, leads to worry, and wrinkle free travel! 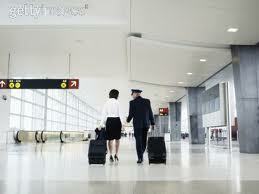 Here’s wishing you Have a Wonderful Travel Adventure!!! This entry was posted in Crusing/Travel How To's and tagged How to Pack Formal Wear for Travel, How to Pack Luggage, Packing Tips. Bookmark the permalink. Thank you for the mention. I appreciate the comments! Thanks for the Mention Topsy, I appreciate comments! Wow! Some great and detailed tips here! I think it’s vital to choose a luggage bag that is designed to hold the weight you wish to carry, there is nothing worse than finding your luggage has broken when on the plane or when your lining up to check in! Also make sure your luggage bag is hardwearing; leather is great if the quality is good so look for this. Always underpack rather than over pack and stick to simple pieces that can be worn more than once.